The fourth annual Hockey Night for Headwaters came to Shelburne this year for a night of skating and hockey at the Centre Dufferin Recreation Complex. The event raises funds for the Headwaters Health Care Centre in Orangeville and will be used toward the purchase of capital equipment at the local hospital. The event is organized by hospital associates Janet Gordanier, Patty Napran, Stephen Gill, and John Roberto who works with Presice Parklink who operate the hospital’s parking lot. 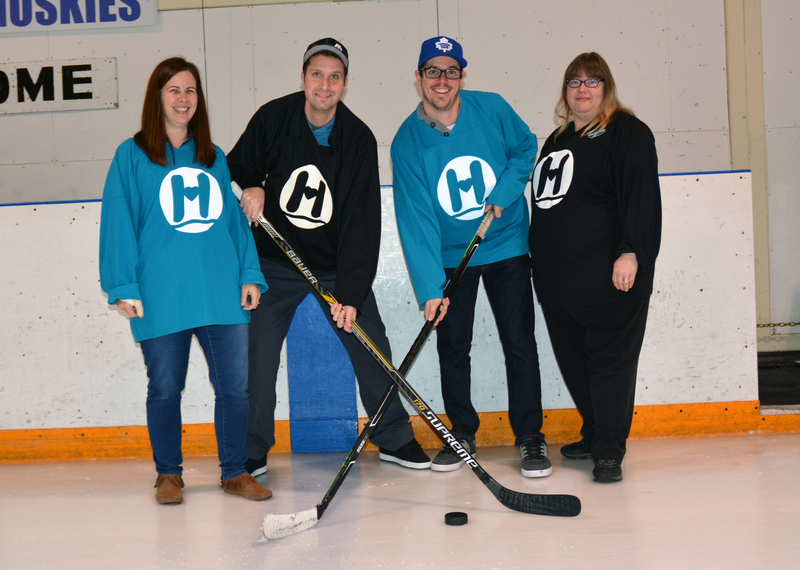 The event started four years ago when the idea of a staff hockey game to raise funds turned into a reality. “John and I came up with the idea of doing a hockey fun thing because we’re both involved in hockey,” explained Janed Gordanier of how it started. Many people who work at the hospital are from Shelburne so the move to the CDRC slotted in very easily. A family skate started off the night, followed by a game between staff members at 8:30 p.m., and finally the showstopper game featuring physicians verses paramedics that followed. Money raised at the event will go to the Hospital to help pay for needed capital equipment. Shelburne on Saturday, November 21. The event feature a family skate follow by two fun hockey games featuring hospital staff. Event organizers Janet Gordanier, Stephen Gill, John Roberto, and Patty Napran, start the night with face off on the ice.